Origin and Habitat: Garden origin. Japan. 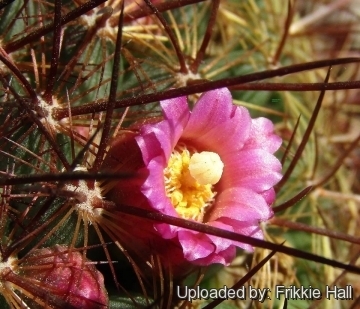 Description: Mammillaria ginsaumae (aka Mammillaria cv. ginsa-maru or cv. 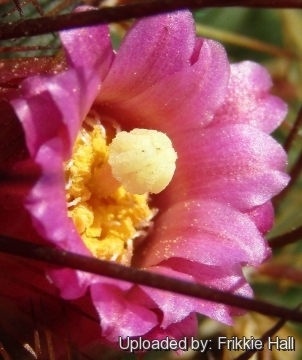 ginsamaru), is a Japanese cultivar or a hybrid with Mammillaria discolour as one of (or its only) parent. 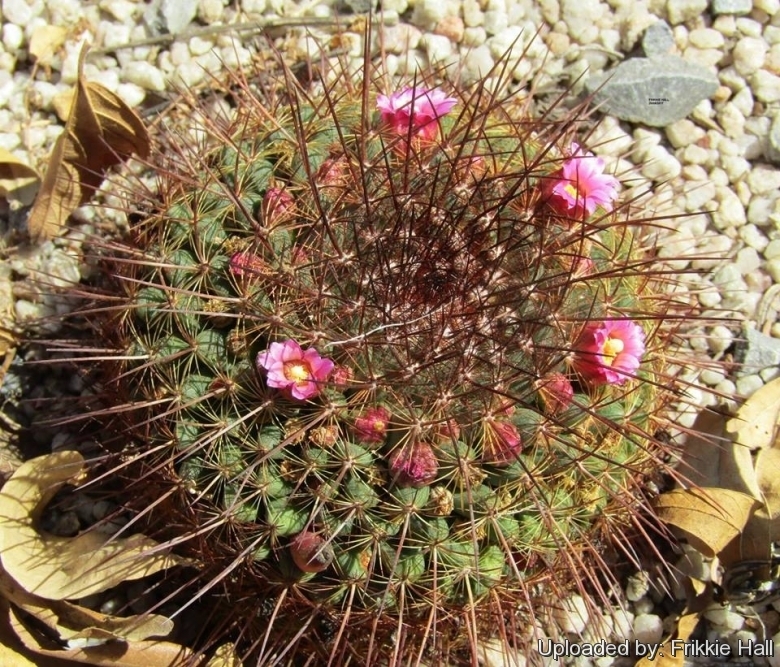 Mammillaria ginsaumae has quite deep pink blooms while Mammillaria discolor typically is pale-flowered, whitish with pink mid-stripes or pale yellow.